Foam Rollers. They seem to have popped up and multiplied like mushrooms in the past several years. Now they come in all sorts of shapes and sizes, colors, degrees of softness, and grid patterns. There must be something to it, right? The idea is that you can break up adhesions in the fascia that surrounds and integrates with your muscles (and just about everything else…it is THE most prevalent tissue in your body). When you get adhesions, or sticking points in the fascia, it can restrict your movements and cause you pain in that and other areas. 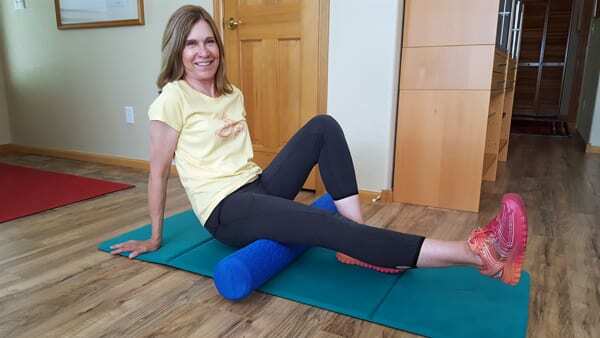 Once you break up the fascia adhesions by rolling, apparently you can get more flexibility, range of motion, less soreness and even less muscle fatigue. Right now I am going to take a little bit of space here for a…. NERD ALERT!!! (If you don’t want this part, you can skip down 3 paragraphs to The Good News and the Not Really Good News section). Meaning, I want to give you a head’s up regarding any rock solid research that’s available to support using a foam roller for the above-mentioned benefits. There isn’t a whole lot. After casting about quite a bit (OK, the internet), I found that the research done on the effectiveness of foam rolling is scant, is fairly subjective, and has mostly been done on young, healthy, athletes. Part of the problem is that it’s difficult to actually quantify what’s going on with our fascial tissues, as you might imagine. The theory is that, once the fascia has been broken up, it brings more circulation to that previously tied-up area, and allows for more elastic recoil to be translated to a muscle that is trying to contract. Since they can’t actually see the tissues in question, they can only measure things like “soreness”, “flexibility”, and “fatigue”. All of which can be fairly subjective. On top of that, results may be influenced by anticipating that foam rolling is going to help. 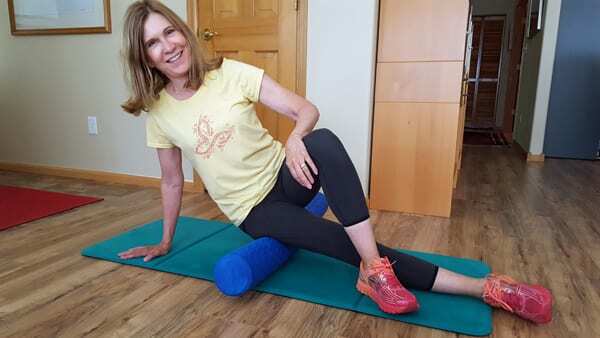 Even without super great research, it appears that foam rolling is pretty good. What it does: It relieves muscle tightness, can alleviate knots (aka, “trigger points”), muscle soreness, help with flexibility and smooth movement, and help with soreness after exercise. What it doesn’t do: so far, it has not been shown to improve athletic performance. Surprising, really, since you would think that better movement and easier recovery would mean that athletic moves would go better, and perhaps training could be more vigorous with improved recovery times. It’s quite possible that what’s really needed is more research on this. Also, in terms of how often you need to roll to get results, the advice given is often fairly vague. And for good reason. Tissues vary, how active a person is varies, technique varies. “Results may vary” is a good way to put it. You can roll a bunch of muscles in your body, but clearly it’s not possible to reach all of them. The ones most often rolled are: Quadriceps, hamstrings, IT band along the outside of your leg, glutes, upper back and mid back, pecs (chest), shins, calves. You need to be strong and agile enough to be able to position yourself on the roller and be able to maintain the right pressure on each area. If the weight of your body produces pain greater than a 5 out of 10, you need to back off by supporting some of your body weight with your arms. Otherwise, you risk making things worse. Roll along each targeted muscle the whole length, stopping where there is a painful knot. Stay there for 20-30 seconds or until you feel the knot “give way”. Continue along the muscle. Roll slowly and steadily – don’t rush! When finished, gently stretch the muscle you have been working on. This is not for people who aren’t agile enough to position themselves with the roller. 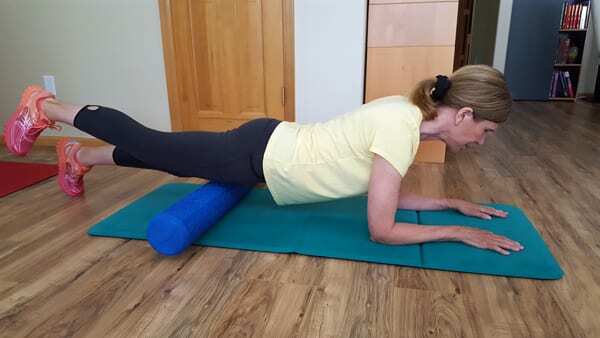 It’s also not for those with a weak upper body that can’t regulate the pressure applied with the body on the roller. It’s not for people with osteoporosis, circulation issues, fibromyalgia, or serious back issues. 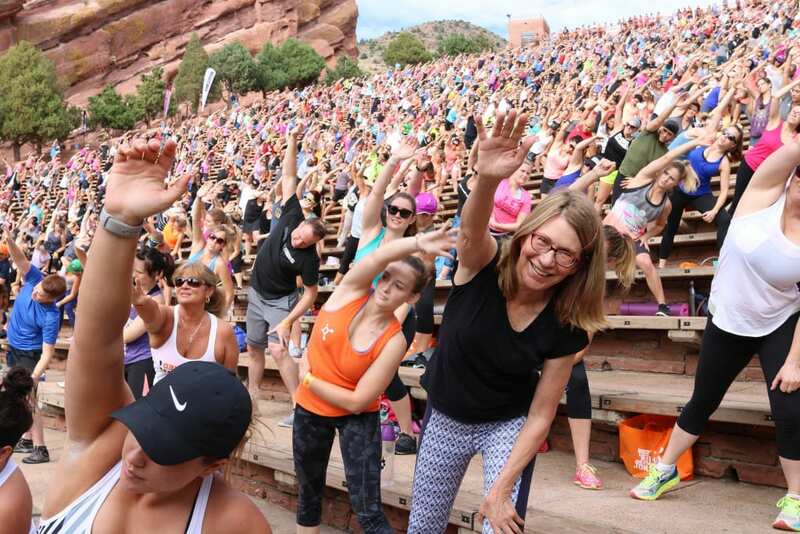 Having said all this, some people swear by rolling as a way to get less sore, more flexible, and even get rid of aches and pains from inactivity. It can be a very useful tool for recovery after a workout, as part of a physical therapy protocol that includes manual therapy and stretching, or as part of a warm-up before exercise to get the muscles ready for movement. See Below For A Few Demos!